If you are looking for spare change in the cracks of the couch to help you pad the Christmas fund there is a better way. The answer lies within you cupboards. Sure, there will be a few of you who truly don’t keep extra food in the house, but the majority of us keep a stockpile of food in our cupboards and freezers–either intentionally or unintentionally. 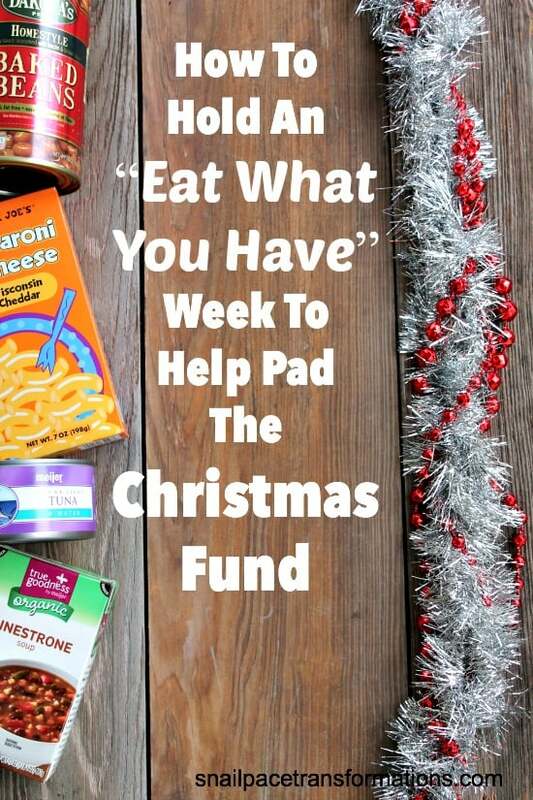 Items that were either on sale or they just caught our eye and we thought, “Hmm I want to try that.” Well an “eat what you have” week is the perfect time to finally try that food and use the money you save by not going grocery shopping to pay for Christmas expenses. 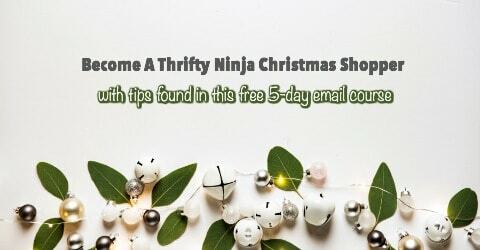 There is a reason why I planned this particular post for the day after Thanksgiving as part of the How To Plan A Christmas To Remember On A Super Tight Budget series. It is because usually leftovers flowing out of our fridges this week make it even easier to simply stay home from the grocery store and eat what we already have on hand. If you are reading this during another week though, don’t panic–chances are you still will be able to last a week without going to the grocery store. Step 1: Grab a pad of paper and a pen and start searching through your cupboards, fridge, pantry, and freezer. I like to first do a general look through of all areas that contain food in our home. I then take my paper and pen and start listing meals I could make with the ingredients I have on hand. If I am missing an ingredient I try my very best to substitute another. Meals are often simple, and sometimes odd during ‘eat what you have week’. We might have mac and cheese with tuna and peas mixed in or we might have hamburger mixed in gravy over toast with a side of cream corn. As I said, meals can get very creative! Don’t worry–you will survive! (they really need to make a bumper sticker that says “I survived ‘eat what you have’ week”). 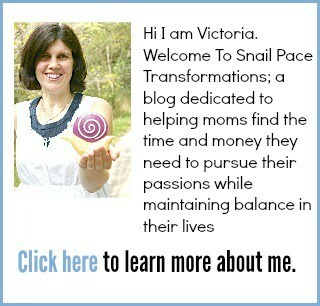 Need a bit of help figuring out what to make from what you have? 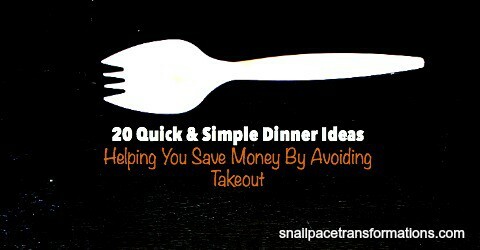 In this post I share 20 quick and simple dinner ideas using ingredients most families keep in the cupboards. Step 2: If you can come up with more than a week’s worth of meals, extend the challenge. If you are able to list 7 meals that you can make from your cupboards in under 7 minutes, then chances are your cupboards hold way more than a week’s worth of food. Continue listing food until you are down to wondering if a boxed cake mix covered with canned fruit counts as a dinner. But wait isn’t this “eat what you have week”? Why are we making a grocery list? Yes, you are right. I want you to eat from your cupboards as much as possible this week or longer, but there are still basic healthy perishable food items I think we all need on hand. If your family loves apples this is the week to make them eat the giant container of sugar free organic applesauce instead fresh ones, but you don’t have to go as far as substituting a glass of Kool Aid for milk. Stick to making a list of basics only like milk and a few ingredients that will help you make a decent dinner out of the other ingredients already in your freezer and pantry. Also make sure you have enough fruits and veggies on hand so that your meals are nutritionally rounded . I don’t want people surviving off of nothing but starch and protein all week. Eating up your frozen, canned or dried fruits and veggies for one week instead of fresh is okay. Eating none at all–not so good. I think a reasonable budget for the basics could be anywhere between $10 and $20 depending on your family size, what you already have in the cupboards, and what grocery prices are in your area. However long you manage to make your “eat what you have” challenge last, it will be easier if you maintain an open mind and palate. Be open to trying out new recipes and food combinations. If you maintain a good attitude chances are the children might be a bit more open minded about trying something new too. If you are done with the meals you planned out at the beginning of your “eat what you have” week, go through your cupboards one more time before you call it quits and see if you could perhaps stretch things a day or two further. When you are satisfied that you just can’t come up with one more meal idea based on the small amount of stuff you have left, it is finally time to call the challenge quits. 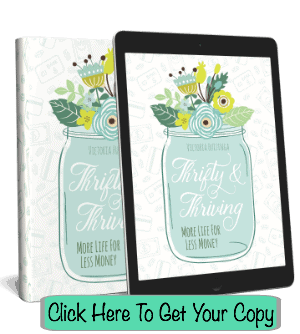 Hopefully you lasted at least one week and now you are into a new week of your grocery budget, meaning you have 2 weeks’ worth of cash to buy one week’s worth of groceries minus the small amount you spent of an few staples at the beginning of the challenge. If you had a larger stockpile you might even have as much as 4 weeks’ worth of grocery budget to buy 1 week’s worth of groceries. This is when you need to not get too excited by your extra cash and first stop and make a grocery list. You will need more groceries than usual because you are have little to no stockpile left. You are going to be out of almost everything. However, restocking your cupboards won’t eat all the surplus you created. Usually when our family holds and “eat what we have” week I spend around 25% of the surplus I created on extra food to refill staples like sugar, flour and such. Have you ever held an “eat what you have” week? If so, share with us tips that can help us make ours more successful. 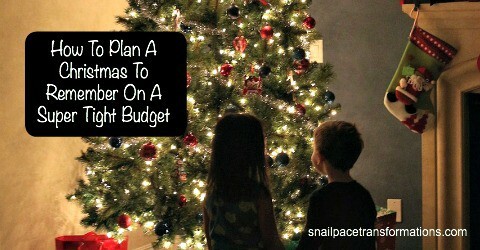 This post is part of the How To Plan A Christmas To Remember On A Super Tight Budget Series.